Xizang (Tibet):Linzhi (Nyingchi) Xian. Between the cities of Linzhi (Nyingchi) and Bomi (Pome) on highway 318; Seji-la (Serkyim-la; Serkyim Pass). 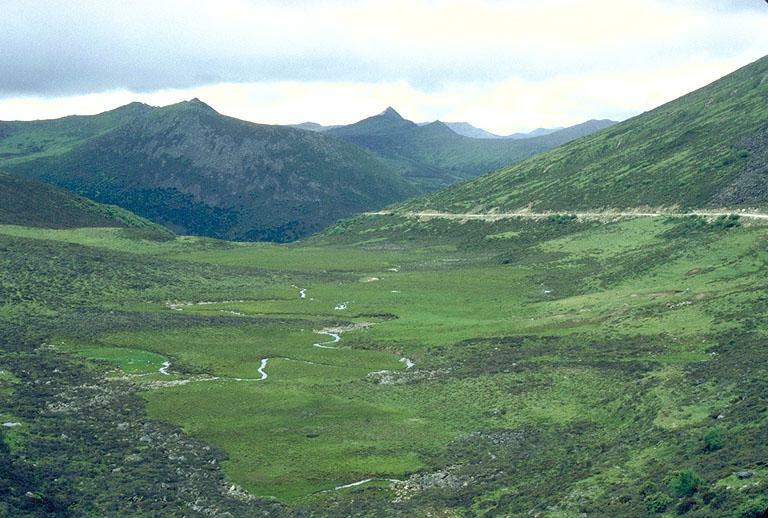 Alpine meadows and dwarf shrub community on stony soil and boulder fields. 29°36'40"N, 94°39'6"E; 4500-4600 m.